WHAT THE HELL IS A "GAD"? What is GAD!? GAD! 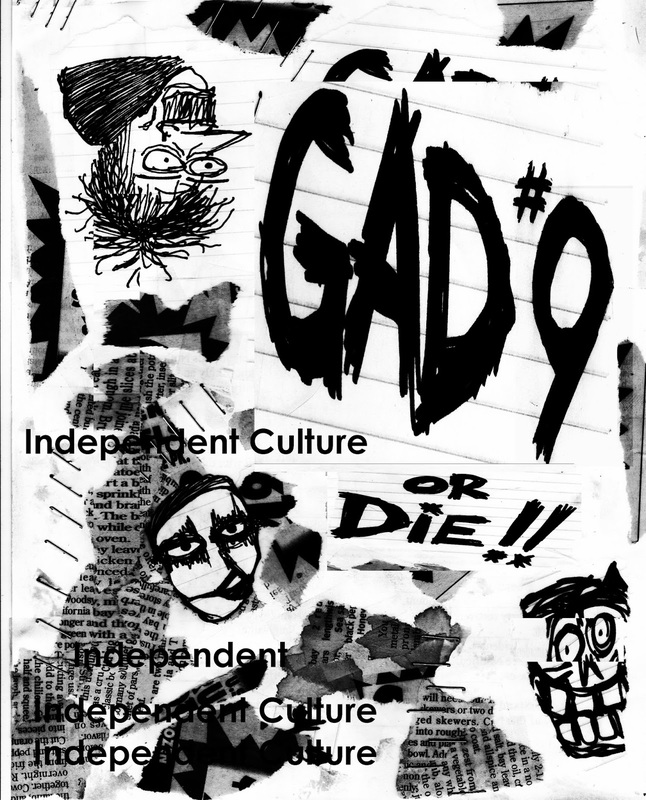 is a an old school, black & white, photocopied, poorly stapled together, zine. What's a zine? Go look it up. Then make one. Anyway, the GAD! zine is a free publication put together by volunteers to promote independent music, film, art, zines, poetry, etc. Mostly of the punk rock variety, but we are hardly limited to that one genre. Independence and creativity are our thing. Because most of us live in Alabama, a lot of our coverage is of the Southeastern US, but we talk to and about artists from all over the world. We're currently putting together our 10th issue. It'll be out before the end of the year. That sounds kinda vague, doesn't it? Well, that's because even after we have our content ready, we still have to do layout (either on a computer or with scissors and glue), print the pages (while doing battle with our stubborn photocopier), put issues together, and staple them. Because the zine is free, we depend entirely on funds from donations. Sometimes the funds are a tad short and we have to wait. Such is the life of a zinester.